After a person dies, everything he or she owns must be transferred to a living person. This process is called probate, and it is usually overseen by a family member of the deceased person (called the executor). If you are responsible for probate or trust administration, you may be feeling overwhelmed. In addition to grieving for the loss of your loved one, you may be worried about what needs to be done with the estate. If that is the situation you are going through, an experienced Cloverdale probate administration attorney can guide you through each step of the process. At the Law Offices of James F. DeMartini, we have more than 40 years of combined experience providing individuals with the legal representation they need. Unfortunately, despite all the heartache that comes with losing a loved one, sometimes more frustrations arise when the will is being probated. If there are disagreements about how the estate should be divided, we can help you find an effective solution. In any family, the most important thing is preserving relationships. A good lawsuit kills a relationship. Effective collaboration preserves family relationships. When an individual or entity is named the trustee of a trust, there are specific duties and obligations that person or entity must follow through with. From the collection of assets, obtaining the tax ID numbers for the trust, opening trust bank accounts, notifying any beneficiaries, paying trust bills, allocating assets to sub-trusts, preparing necessary accounting, filing income and estate tax returns and finally the distribution of the estate to the beneficiary, we are experienced trust administration attorneys. 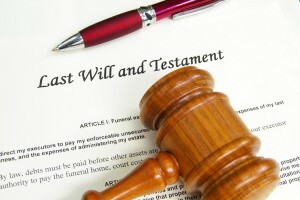 If you are responsible for probating an estate, we can guide you through the process. Learn more about the representation an experienced lawyer can provide by scheduling an initial consultation. We can be reached online or by calling 707-894-5000.